If you can't point to privacy, does it even exist?! Hey, everybody. You know that whole Apple versus the FBI thing we’ve been talking about all week? Here’s an idea: What if… what if… Apple just gives up? It’s not a good idea, but it is technically an idea. Or is it some kind of fish? No. No, it’s an idea. Might be an idea. The Macalope will have to consult an ichthyologist. Oh, no, sorry it was this: “I think Apple should help the FBI get into terrorists' phones.” Close. Effectively the same thing. She does not believe in personal security. In Silicon Valley, saying you think Apple should help the FBI get into terrorists’ phones is grounds to get kicked out of your Uber. Got an Uber joke in the lede. Nailed it. …is it really so absurd to ask Apple to break into the San Bernardino shooter’s iPhone 5c? Oh, no, it’s not absurd at all. It’s dangerous and disturbing. Completely different. In this exceptional case of large-scale domestic terrorism, this is a phone built before Apple sealed off its “back door,” so how much of a precedent can it set? And beyond the specifics of today, if our lives are lived through our phones now, how can law enforcement do its job if it can’t get into them? There are literally no other law enforcement techniques! Watch any episode of CSI: Cyber! They all involve cyber-based investigation techniques! Or so the Macalope assumes. He’s never actually seen an episode of CSI: Cyber. I’ve given up on privacy! Why can’t everyone else? Can Schneier or any of the people you spoke with take over writing this article? The Guardian: Come for the aw-hail-no headlines, stay for the contrarian quotes that make more sense than what the writer is espousing. Even if Bowles is being coy, setting herself up as an easy foil for the people she quotes, it’s not hard to find other yahoos who firmly believe what she’s saying. Like, for example, the yahoos quoted in this piece on Yahoo. Sadly, many of them are government officials, or people who want to be but maybe don’t know how Twitter works. Here’s the thing: It is impossible to build backdoors that do not compromise security. Yes, the terrorists’ security, but also your security, the Macalope’s security and even the security of presidential candidates and district attorneys. 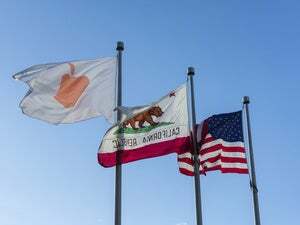 Apple’s picked a tough fight, but they picked the right side.